Office will resume operation on 8 February 2019. 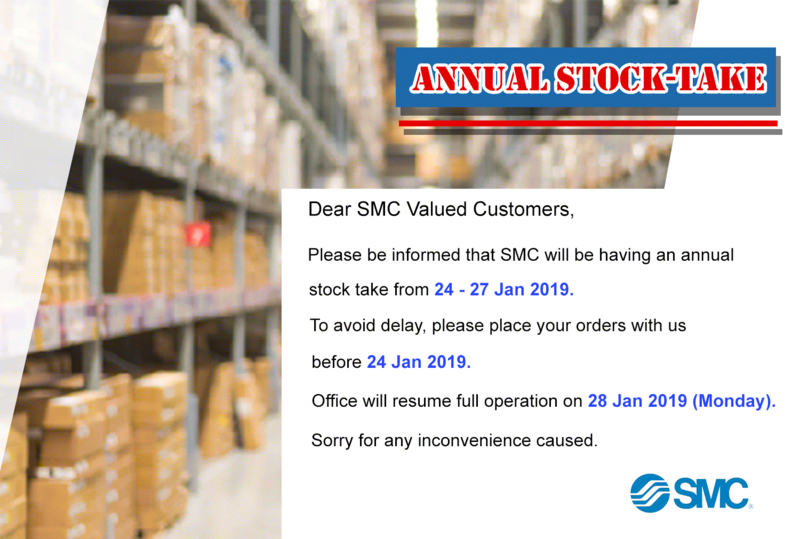 Note: To avoid delay, kindly place your orders with us before 2 February 2019. Change of Company Name- SMC Automation (Malaysia) Sdn.Bhd. SMC Automation (Malaysia) Sdn.Bhd. with effect from 3rd December 2018. The Certificate on Change of Name from the Companies Commission of Malaysia is attached herewith. Please be advised that the Company will continue to operate in its current structure and our business addresses, company registration number, contact information, email and billing addresses etc. shall remain the same. We look forward to continuing our business relationship with you under our new name and thank you for your continuous support.